The metal underground is awash with more bands than ever, but none quite sound like Poland's CULTES DES GHOULES. 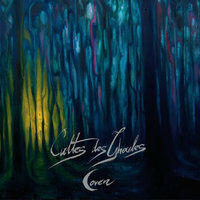 And now, with the release of the band's highly anticipated third album, Coven, HELLS HEADBANGERS is proud to present CULTES DES GHOULES' magnum opus and forever prove that no one ever will quite sound like THIS. 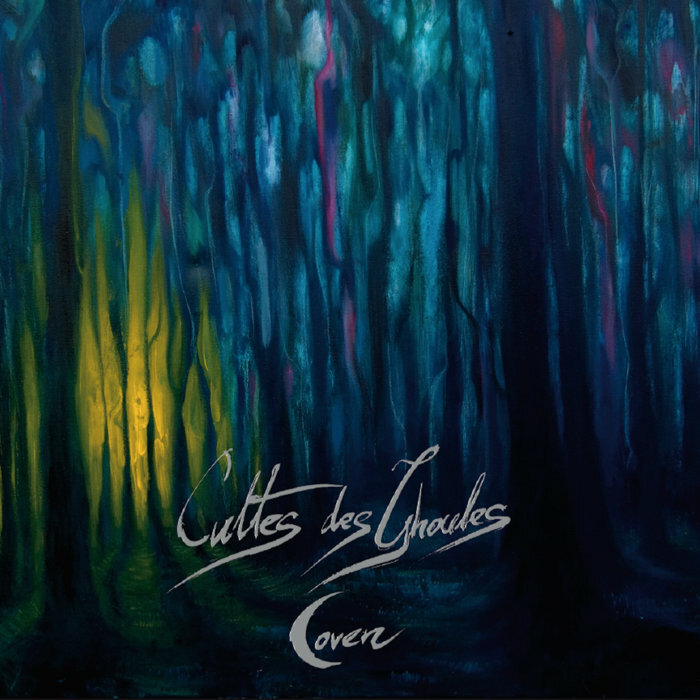 A mysterious collective with a full lineup but no facts fully revealed about it, CULTES DES GHOULES have always let their music speak for itself. 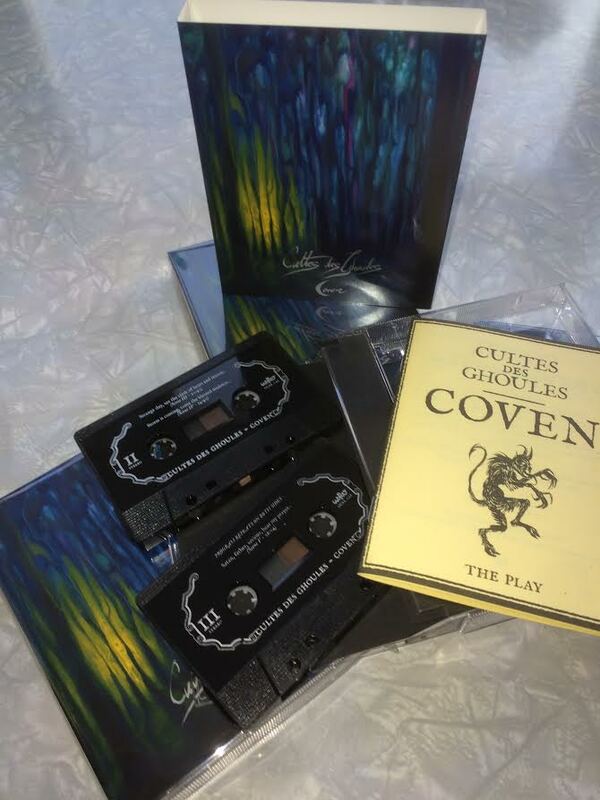 Their early demos and Odd Spirituality EP, all highly sought after upon their initial release, eventually culminated in CULTES DES GHOULES' classic debut album, Häxan. Released in 2008 but eventually reissued by HELLS HEADBANGERS in 2011 after its first two versions quickly sold out, Häxan was a mesmerizing monolith beyond compare - ghoulish, gibbering, and ghastly in equal measures - although its sinful stench fondly recalled the likes of earliest, evilest Necromantia, Beherit, Mayhem, and Mortuary Drape. Also in 2011 came the Spectres Over Transylvania EP, which was an epic 25-minute track that suggested the ambitious direction to come. And come it did with 2013's Henbane, a five-song/58-minute monster of mesmerizing power. Dread and disease wafting up from the abyss like fumes of the most potent sulfur, coiling and releasing in a tense coitus of godless abandon, the unremittingly repulsive sounds of death worship: Henbane soon became a modern classic for a new generation of black metallers hungry for foul sounds with fathomless depth(s). Alas, even all that cannot prepare the willing for CULTES DES GHOULES' Coven. On the surface, the epically winding ritualism the band had worked toward is present and accounted for...until you realize that that's simply the first track. For Coven is indeed a literally MASSIVE album, totalling nearly 100 minutes across five near-equally massive songs; not for nothing will it be presented individually on two CDs and three vinyl LPs. But there is purpose to such staggering lengths: the album is, in fact, a sort of "play" whose full title is Coven, or Evil Ways Instead of Love. Inspired by Master's Hammer's The Jilemnice Occultist, which is a black metal operetta with a story about romance and witchcraft, CULTES DES GHOULES wanted to write something similar but with more serious intent and without any "romance" themes. And with time, it evolved into the form that's finally revealed to the public. Essentially, Coven sonically and especially (lyrically) illustrates a spiritual quest and the wish of death - death to a mundane world of moral laws and social conventions and shallow existences. It comprises a whole cast of characters - an actual dramatis personae, in the manner of a traditional play - whose innermost thoughts and outermost deeds are given life by the devilish throat of CULTES DES GHOULES. Each of the five songs is a whole "act" in itself, travelling across tension and cresting to high drama. Suitably, the music follows in kind, encompassing the band's trademark teeth-gnashing gnarliness to more dynamic - and, yes, dramatic - iterations of what were mere sonic suggestions in past, particularly in swaggering Sabbathian groove. That the band moves so freely across such a relatively wide swath of (super-)sonic terrain isn't so surprising as how effortlessly they do so, mirroring the myriad characters who bind the Coven. Olde tyme rock 'n' roll? Not exactly, but it's as patently diabolical as the medieval devil-worship CULTES DES GHOULES have been slavishly devoted to lo these many years. The Devil's always had the best tunes, and sometimes even had the best plays. Now he's got both in CULTES DES GHOULES Coven, and a new dark age has begun.